Are dingle berries and itchy hemorrhoids getting the best of your bum? Do you struggle with cleaning and scratching your crack? Struggle no more with the new and improved Crack Scratch String! Crack Scratch String is for all those hard to reach areas....when you just can't get it any other way! 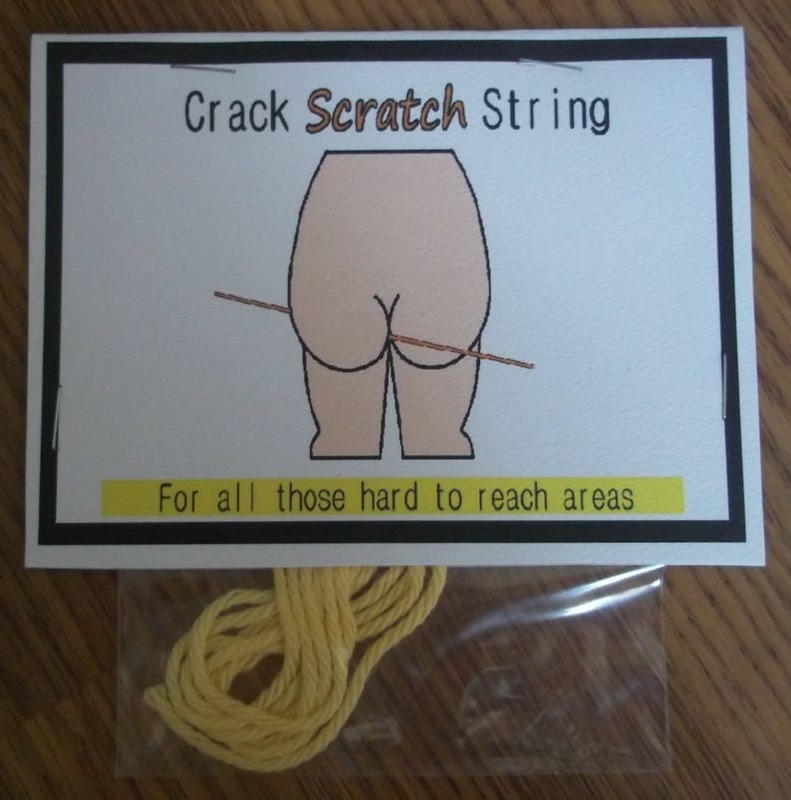 Crack Scratch String is made up of a special soft material that easily slides between even the tightest cheeks without chafing or abrading, and will easily scratch the heck out of those nasty hemorrhoids! Regular flossing is recommended after NUMBER TWO restroom breaks. Using Crack Scratch String has been clinically proven to remove dingle berries between cheeks and to help prevent bum disease. Crack Scratch String is recommended by most proctologists. This product may come with a different color of floss than shown in the picture. Funny gag gift! Shipping was fast! !